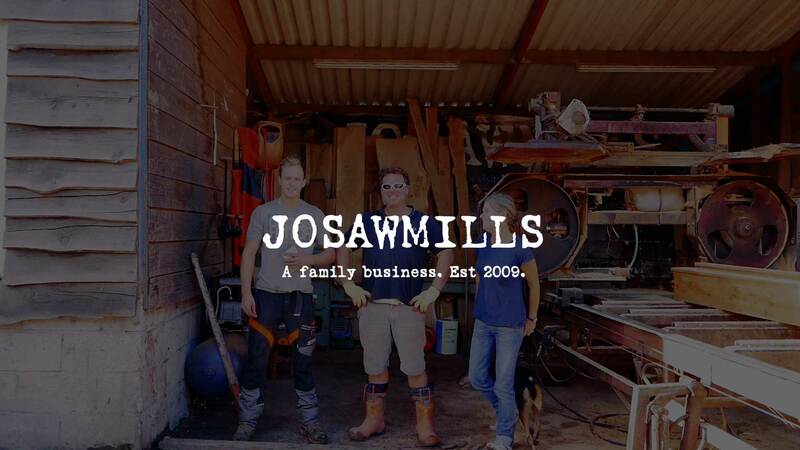 Welcome to Jo Sawmills, your local supplier of quality and sustainably sourced timber. 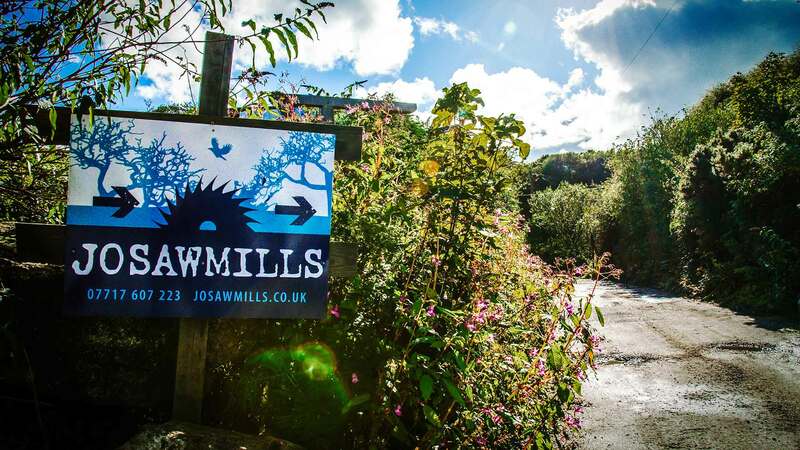 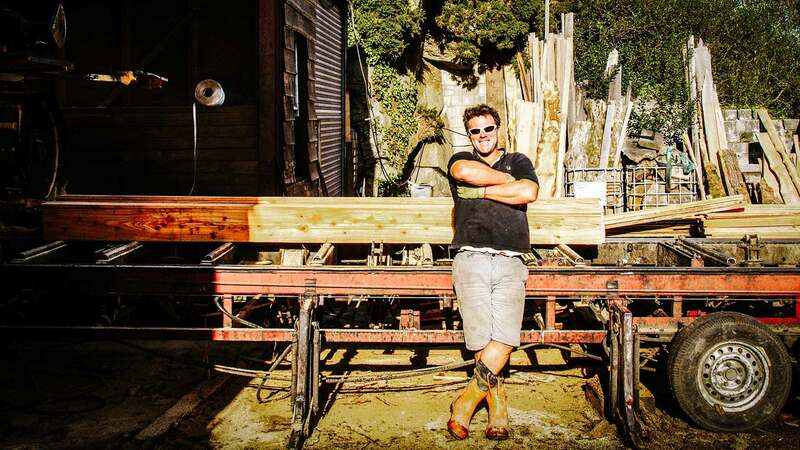 Our Cornish sawmill offers a bespoke and personal service. 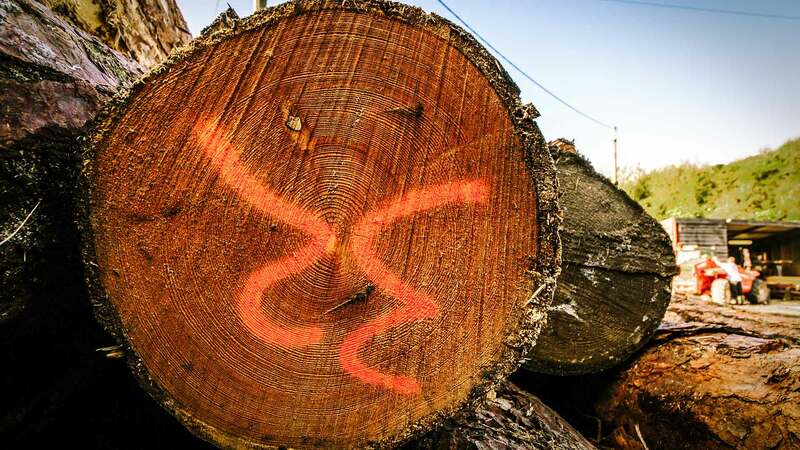 We will work with you to provide the best quality products that are produced with your requirements and the environment in mind. 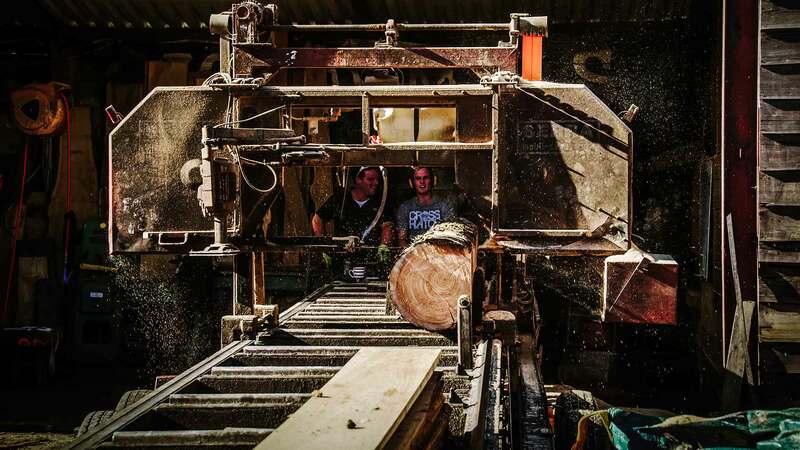 Jo Sawmills specialise in large lengths of timber and now have the capacity (using a Serra Bavaria 130) professional mobile saw to handle approximately 15 metre – 50ft trees. 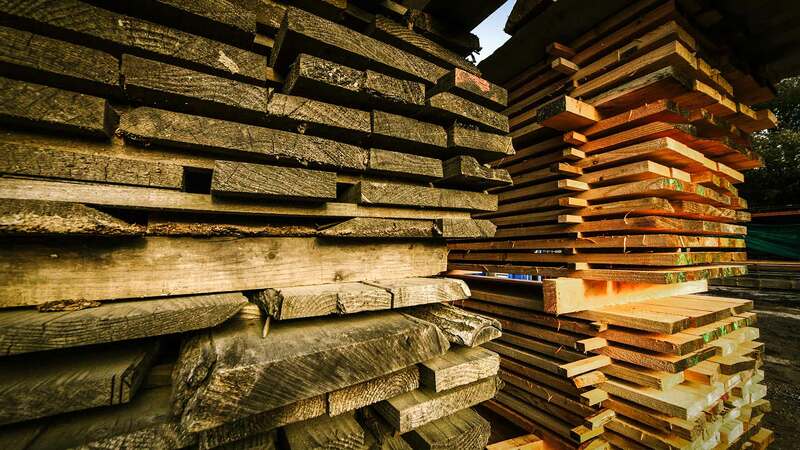 We can also saw wood that you bring to the mill to your specification. 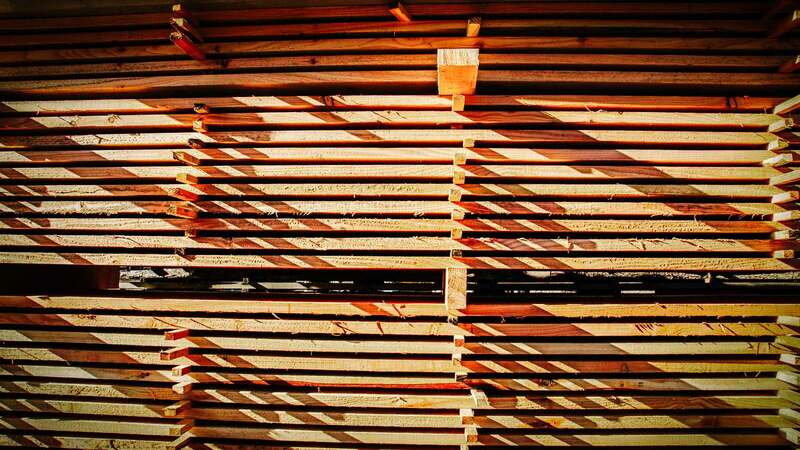 Larch – excellent wood for Cladding and Decking and boat building + eco friendly! 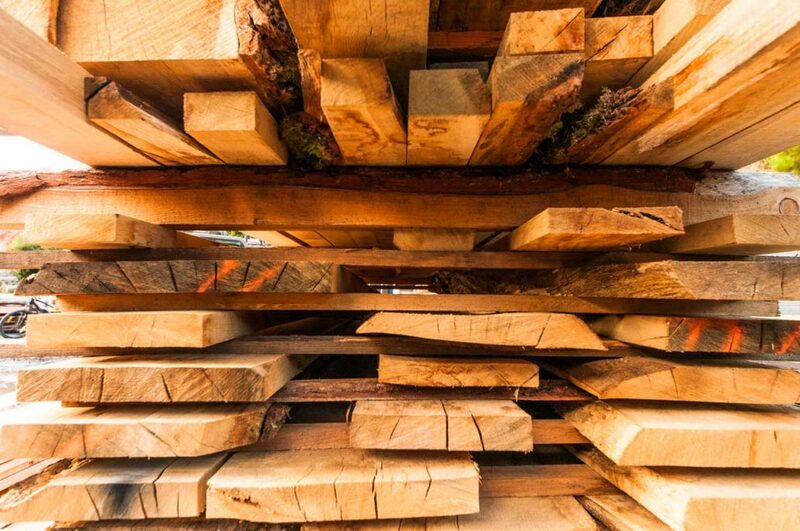 Green Oak – sourced from well-managed forests, Douglas Fir and Sweet Chestnut. 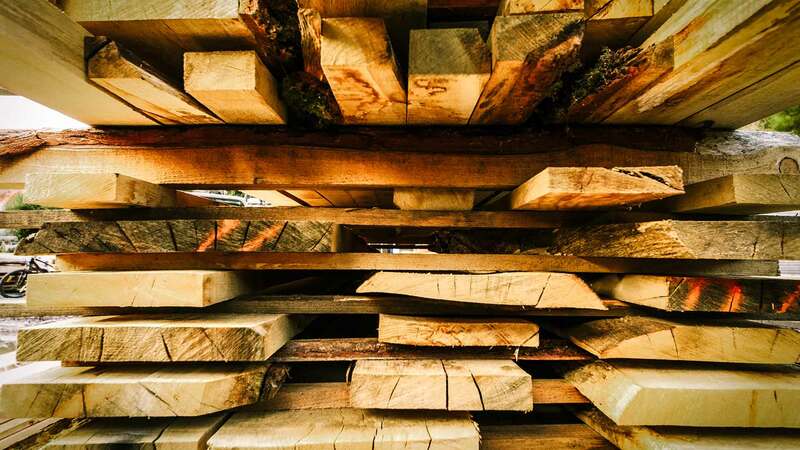 You are welcome to BYOW – (Bring Your Own Wood) and we will saw it for you. 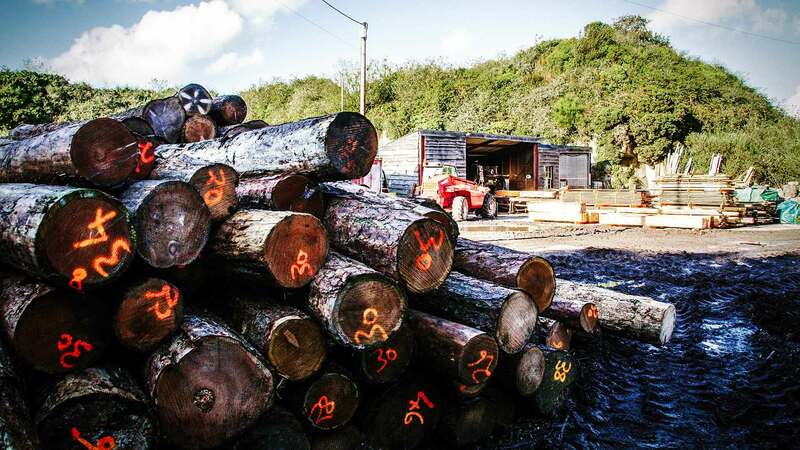 Our Sawmills has expanded in size and work flow, therefore it was necessary to increase our team of employees. 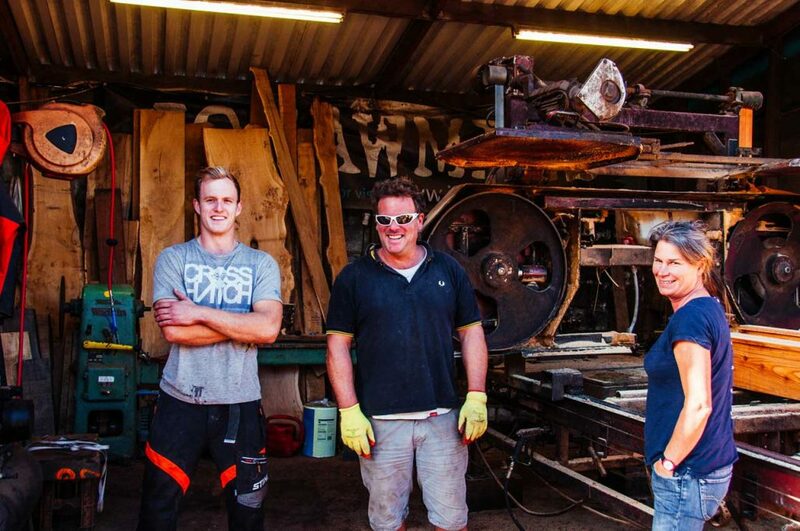 Josh and Suzy have integral rolls in the company and Finn & Barney help out when extra help is required. 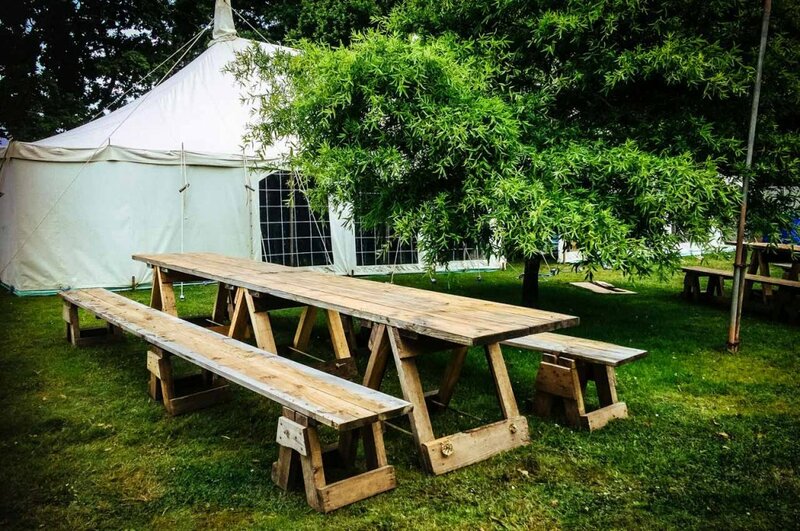 These big organic tables and sturdy benches can be hired and delivered for any outdoor on indoor event you may be planning; Wedding, Festival, Party or gathering, seating up to 150 persons. 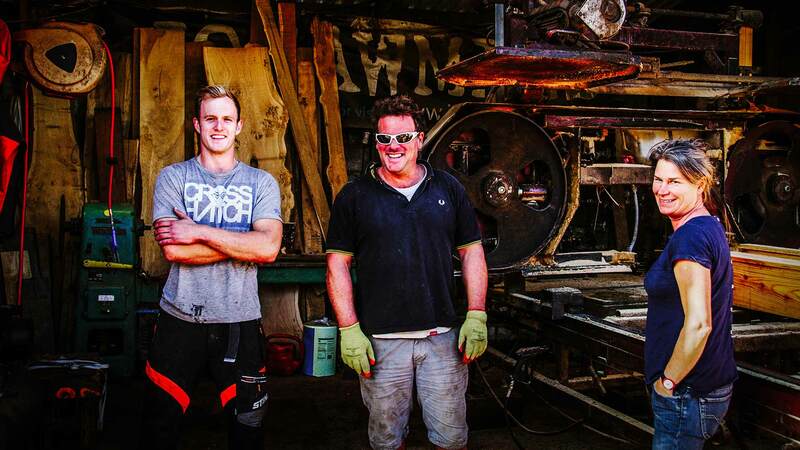 Email or click here for any enquiries.